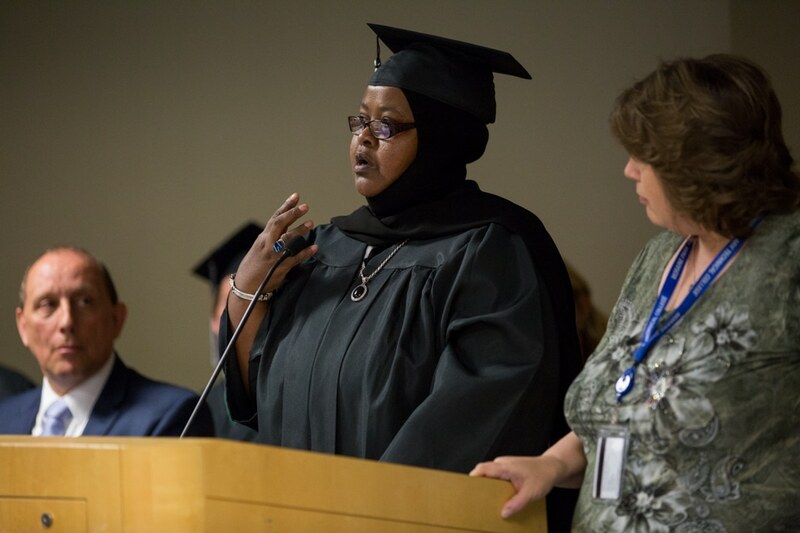 We hosted our 2017 GED / HSED graduation ceremony on June 1 at Moraine Park Technical College. We’re so proud of all the hard work each of these individuals has put in to accomplish this goal! Here’s a look back at this year’s ceremony … and if you’d like to be next, we’d love to help! 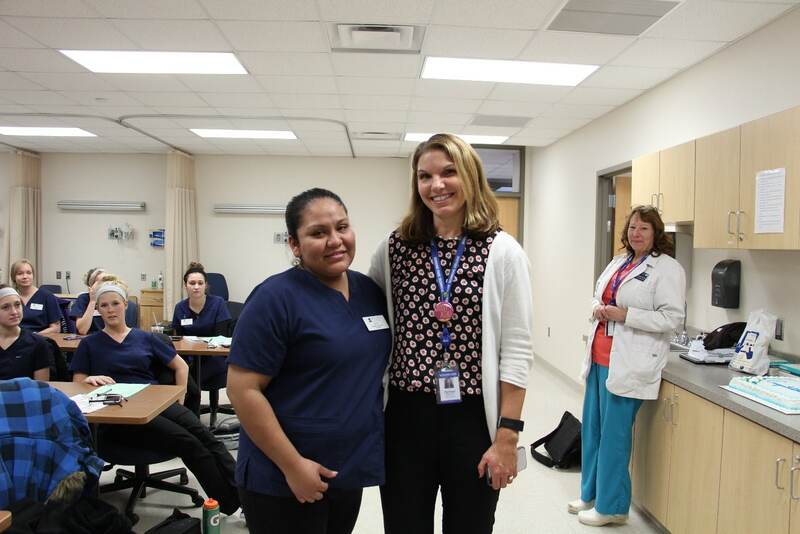 For more information about our GED program, click here. Matthew Stegall lacked focus and risked not graduating from high school. 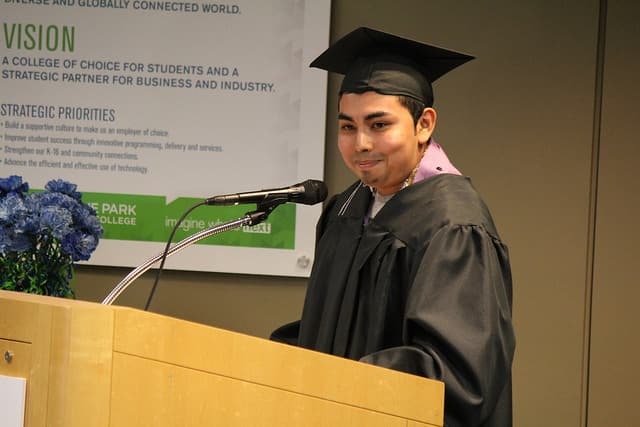 Fortunately, he successfully earned his high school diploma through an alternative program in which students combined four hours of GED test prep with part-time employment. The following years were relatively productive, but the path was unclear. He worked and took classes at another institution, but he had not found his niche. Sarai Picazo-Cruz has a champion’s heart with big dreams, though it may take some time to realize that given her gentle and quiet demeanor. 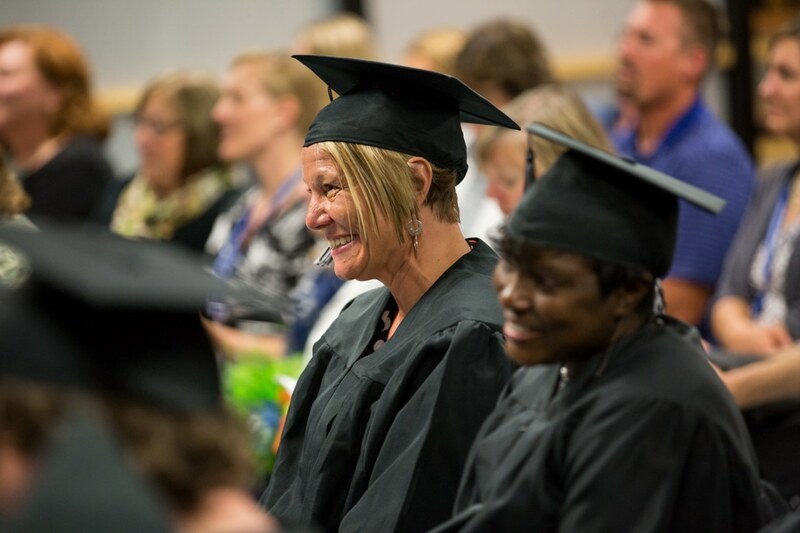 We hosted our GED / HSED graduation ceremony on June 16 at Moraine Park Technical College. On this special night filled with emotion, 21 men and women were honored.